The most innovative work from the next generation of architects, artists, and designers will be on display at the 2015 Graduate Degree Exhibition of Cranbrook Academy of Art. The Degree Exhibition showcases pieces that are the culmination of two years of studio work from a diverse group of 69 graduates as they launch their careers. 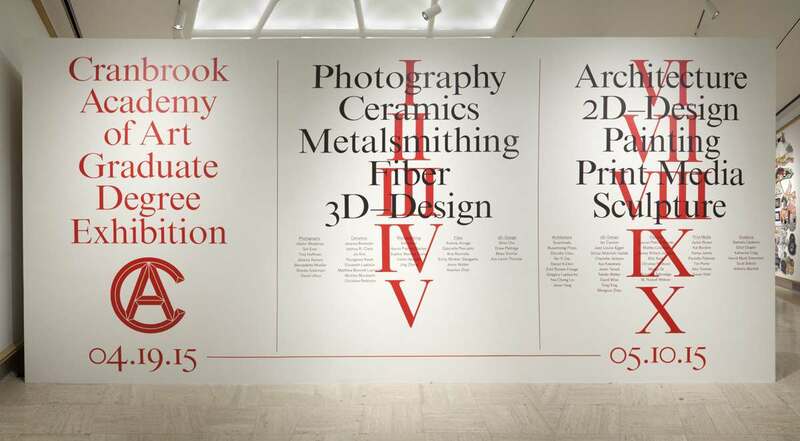 The exhibition will fill nearly all of Cranbrook Art Museum’s galleries and surrounding grounds with some of the most innovative art and design work being produced in the nation. It opens to the public on April 19 and will run through May 10, 2015. Photographs of all the artworks in the exhibition are viewable on the Cranbrook Academy of Art website.